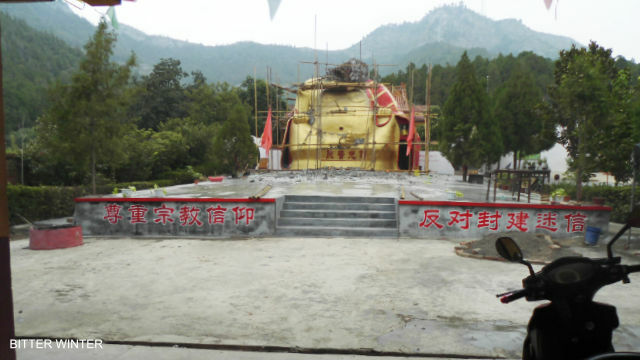 Two giant Buddha statues were demolished in September, despite the attempts by local believers to protect them. 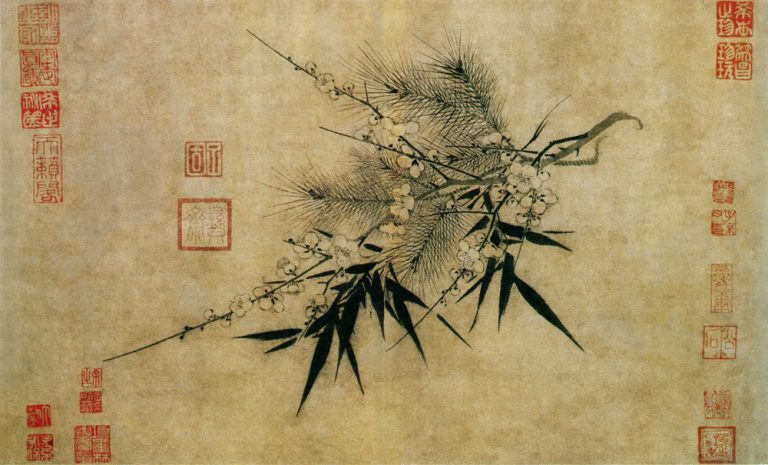 Bitter Winter has previously reported on the destruction and closure of Buddhist temples across China. 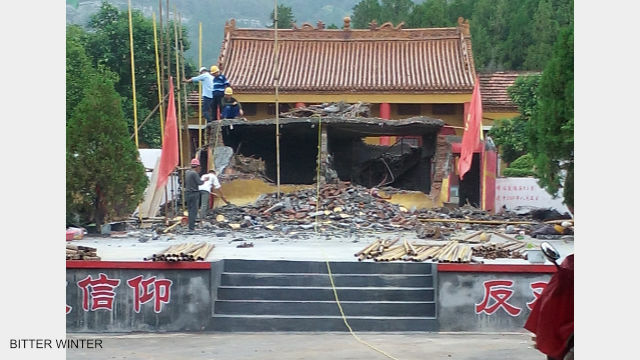 New reports detail the destruction of two Buddha statues in the central province of Henan. The giant Buddha statue at Jiushan Park. 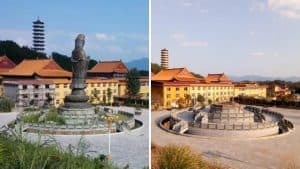 In September, when the government officials visited the Jiushan Buddhist temple in Huixian city, they ordered the temple administration to pull down their Buddha statue. 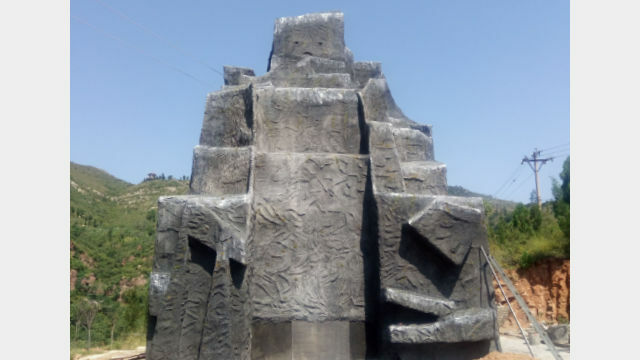 However, the person-in-charge refused to obey and reminded the officials that the statue had been built following all government requirements. The administrator’s son and grandson work at the local office of the Prosecutor General and the court, respectively. 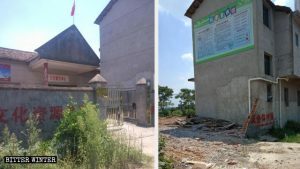 Since the authorities had already suspended both of them during an earlier round of Buddha statue demolition, the in-charge yielded to the demands, fearing that his persistence would harm his family members. The authorities mobilized over a dozen people to demolish the Buddha statue. 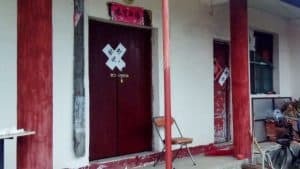 Within days, the local authorities mobilized over a dozen workers to start the demolition, completely destroying it in under two weeks. The statue was 8.5 meters tall and had cost over 100,000 RMB (or a little over 14,000 USD) to build. 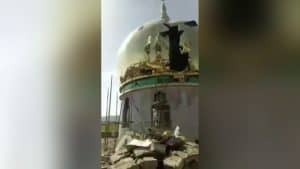 But the temple was not compensated for its loss after the demolition, despite it being a legal statue. The giant Buddha statue has been completely demolished. 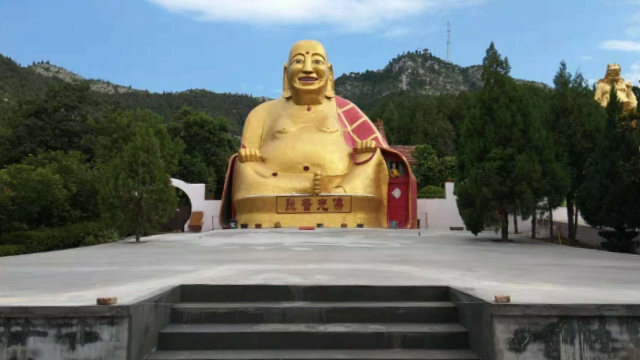 Towards the end of the month, a 10-meter-tall Maitreya Buddha in Ruzhou city was also demolished. 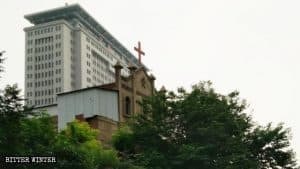 Officials from the local United Front Work Department claimed that the statue was “too tall” and could even be “photographed by satellites.” While the locals tried to protect the statue and stall the demolition, it was of no avail ultimately – the authorities succeeded to destroy it completely. The statue of Maitreya Buddha. 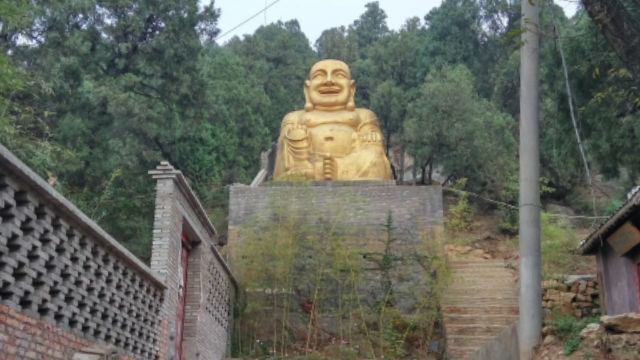 Locals tried to protect the Maitreya Buddha statue by covering it. 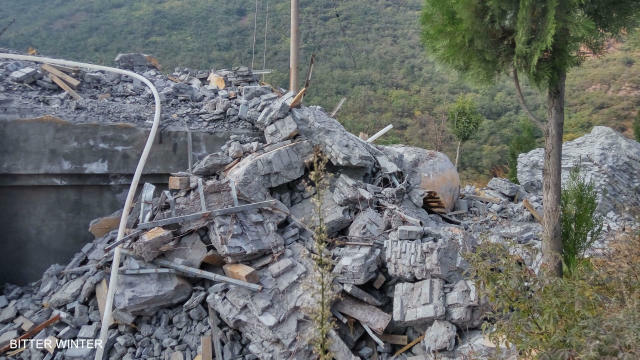 The Maitreya Buddha statue turned into ruins.